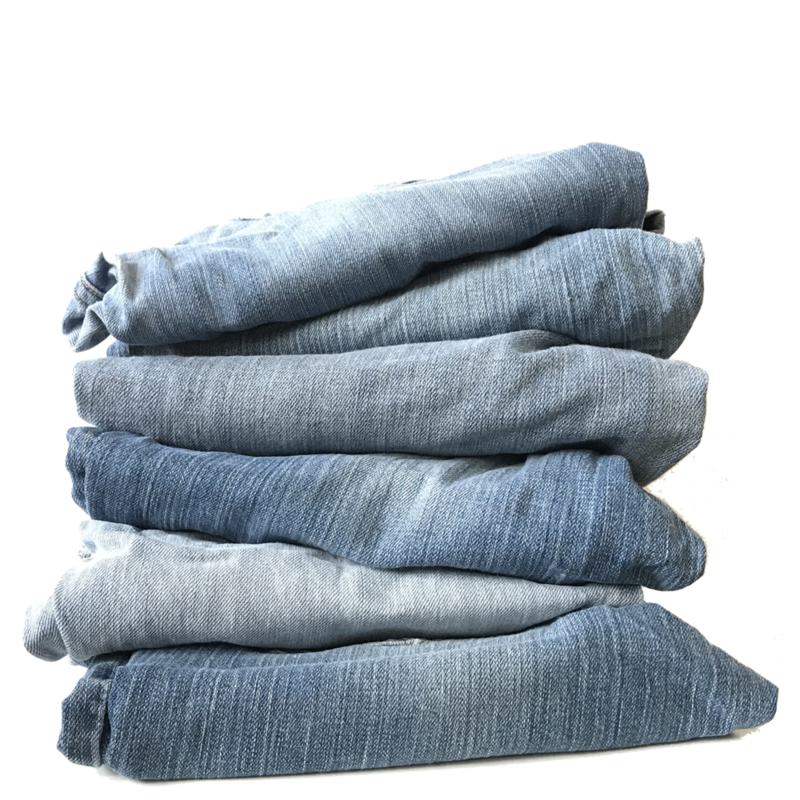 I'm finally giving up on my stack of skinny jeans! (If I ever lose enough weight to fit back into my size twos, then I'll want to reward myself with a new pair anyway.) 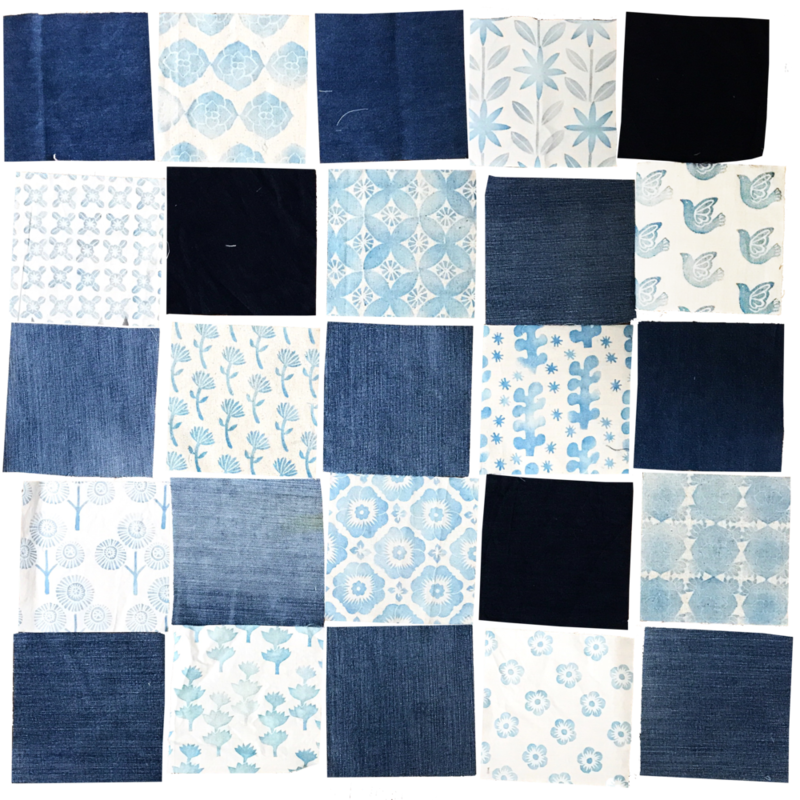 The multiple shades of worn and unworn blue denim will form a happy family with my block print fabrics, living side by side in a patchwork quilt. I'm making it as a gift for my mom, who loves gardening, so I decided it should have a botanical theme. 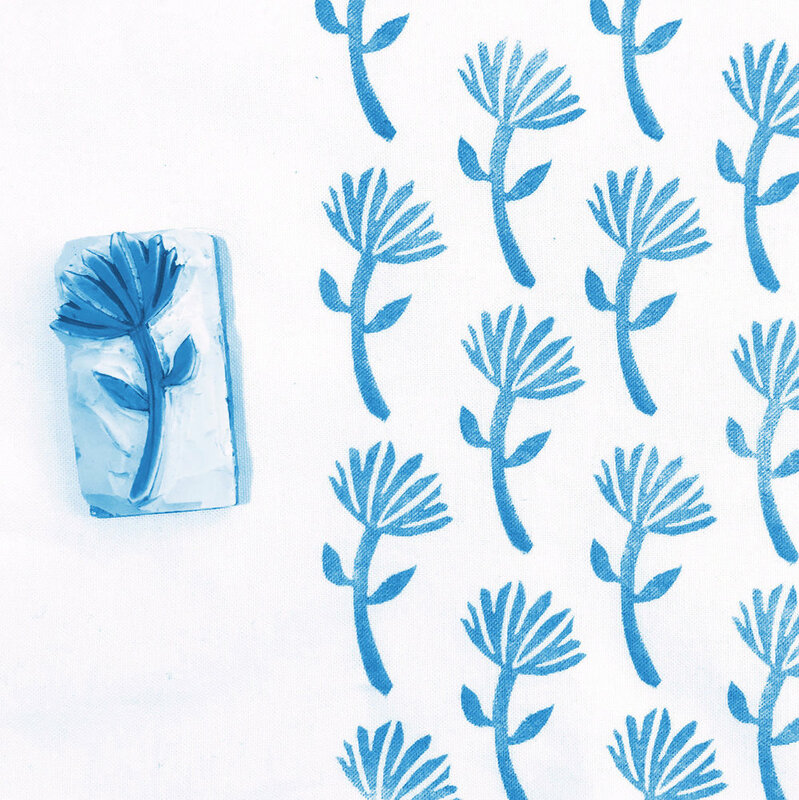 With that in mind, I select the block print fabrics that have nature related patterns, and cut them into neat little squares. I also cut the skinny jeans into neat little squares - satisfying! Then, I assemble the fabrics checkerboard style and move them around until I feel a good balance. I sew the squares of each row together, then iron them flat. Next, I sew the rows together, and iron the entire quilt top. For the backing, I use a dark denim. I like to cut the backing about 2" larger than the top on all sides so I can use it to bind the quilt. I layer the top over the batting, and both of these layers over the backing. After pin basting, I tie the corners with embroidery thread. To finish up, I fold the backing up and over the top of the quilt, then sew it into place. Stay tuned for pics of the finished quilt!